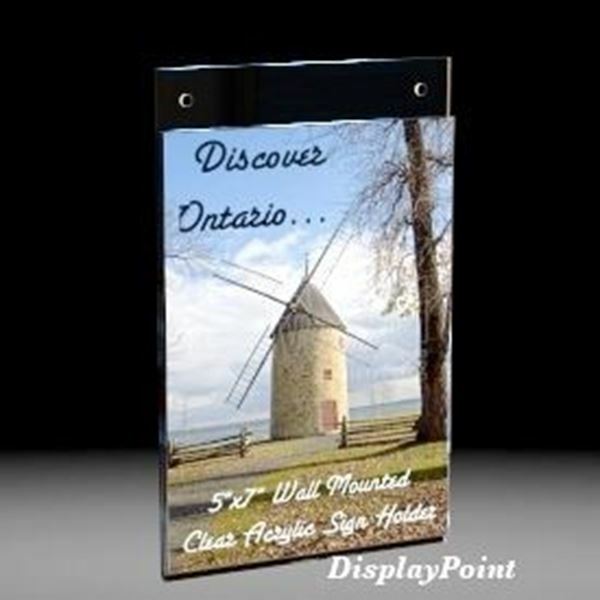 Grab the attention of your viewer with a plastic picture holder. 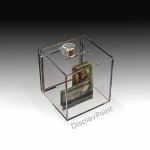 DisplayPoint's clean and clear acrylic displays and plastic sign holders are perfect to post pictures and posters, for home and the workplace. 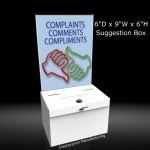 Fits 5" W x 7" H paper. Easy wallmounting - two 3/16" diameter holes. Paper slides in from the side or top of the sign.